Each home health agency implements certain safety procedures and guidelines to protect its employees from work related injury and illness. However, even the best-laid plans for workplace safety cannot prevent all injuries. An injury or illness may temporarily prevent employees from performing their normal duties. 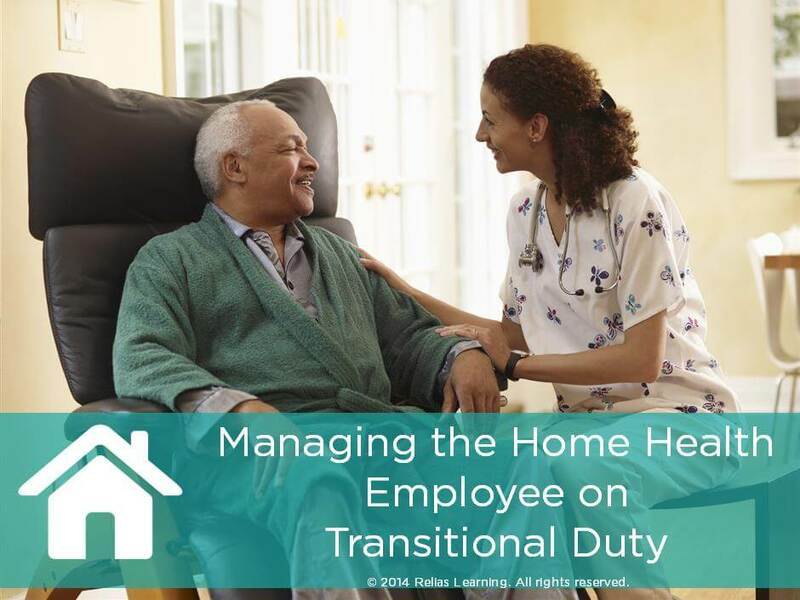 Many home health agencies provide modified or restricted duties to employees following a work-related injury or illness through a Transitional Duty Program. This course explains how your agency’s Transitional Duty Program can quickly, and safely, return injured employees to work. In this course, you will learn the benefits of such a program and your role in managing employees on transitional duty. List the benefits of a Transitional Duty Program. Identify your role, as a manager, in your agencys Transitional Duty Program.